Photographs have the power to bring back memories associated with subjects presented within their four-sided frames. They can also arouse emotional responses in the viewers. Emotions and memories become -- perhaps -- much stronger when photographs deal with individuals with whom the viewers can relate. That may be why many people take photographs of themselves and of others. Portrait photographs, however, sometimes go beyond a mere representation of people, capturing moments and persona that elicit a collective memory. 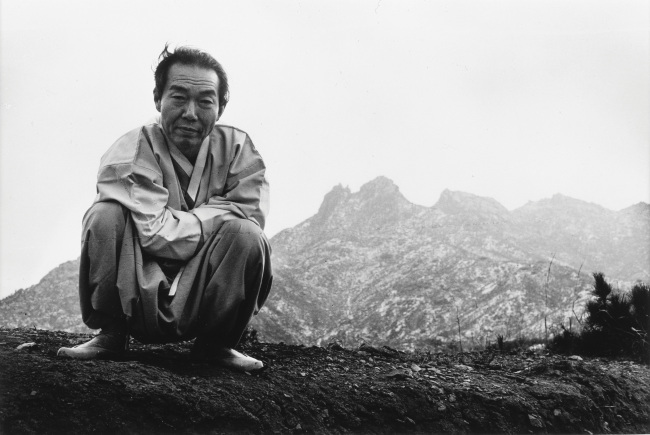 Renowned Korean portrait photographer Yook Myeong-shim’s photo of acclaimed poet So Chong-ju seems not only to capture the appearance of the poet but also to capture qualities that exist in in Korea’s traditional paintings. Crouched down on the bare ground, So appears non-authoritative. Against a backdrop of mountains, the poet becomes an unfettered wanderer, just like his book of poems titled, “Poems of a Wanderer.” The poet’s natural character and innocence gushes out of the frame. 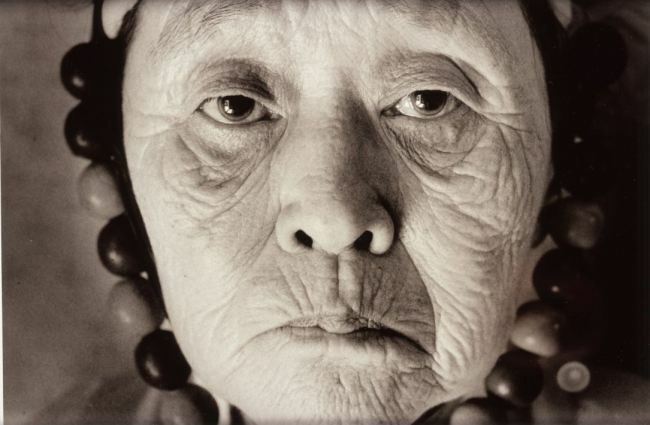 In Yook’s photograph, So is “Midang,” his pen name that translates to “not fully grown” in English. Yook gazes at the poet and elevates him to an iconic figure with an aura about him. “A Korean Family-Dapsimni, Seoul” by Chu Myung summons a more tangible collective memory. In this documentary portrait photograph, family members sit up straight and stare directly at the camera lens, as if they are in a photo studio. But they are not. They are in the middle of a shady shantytown in Seoul, inviting viewers to share their memory associated with the old Seoul. On the other hand, conceptual artist Koo Bohn-chang’s portraits portray more intangible aspects of shared memory: culture. 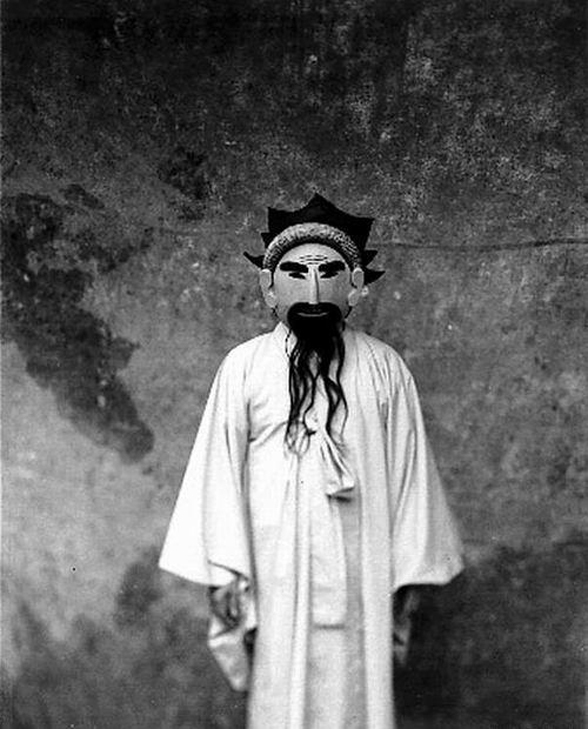 In a series titled “Masks,” Koo’s camera focuses on individuals, but their personas are not revealed, as they wear masks that were originally used in shamanistic rituals and mask dances. Instead of revealing his subjects, Koo’s camera is directed at something bigger that does not exist inside of the frame. The stark and somewhat grotesque monochrome photographs bring the viewers to a place where the nation’s culture is rooted. Koo’s photos attempt to remind viewers of the joys and sorrows that the nation and its people have gone through. In the same way, though anonymous, the female shaman in Yook’s series “Ordinary People” does not look strange to Koreans because she is a representation of the country’s culture. But photos also have the ability to transcend the boundaries of culture.